Bollywood actor Irrfan Khan was battling cancer for almost a year is back to India and spotted at Mumbai airport on Tuesday and today. Irrfan was undergoing treatment for ‘Neuroendocrine Tumour’ in London for most of the last year, having announced his diagnosis on social media. The actor took his Twitter account and announced his comeback by sharing an emotional message for his fans and followers. “Irrfan was leaving for Rajasthan for personal work,” a source told IANS. 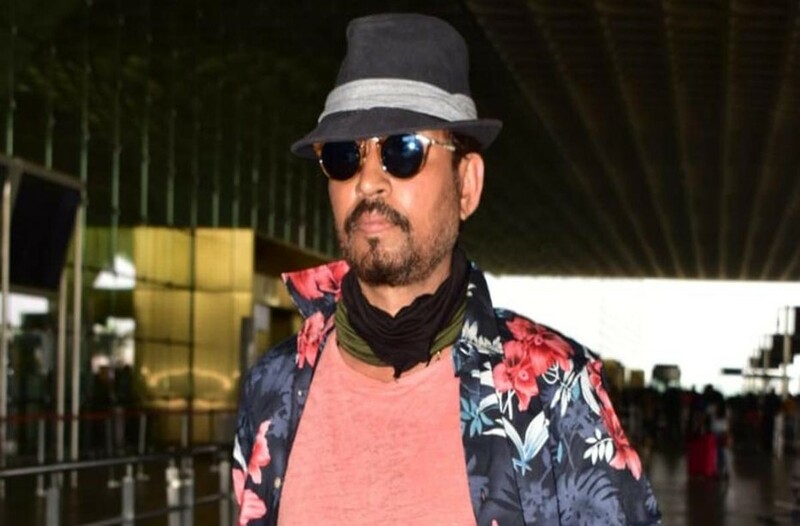 Irrfan was diagnosed with cancer in March 2018 and went to abroad for his treatment. He returned to India in February 2019 and now he is totally fit and fine. Irrfan is all set for his comeback in Bollywood again. He is expected to begin work on ‘Hindi Medium 2’. Kareena Kapoor Khan has been finalised for the sequel to Irrfan’s hit film that exposes the education system of our country. The original Hindi Medium (2017) was directed by Saket Choudhary with Pakistani actor Saba Qamar in the lead role opposite Irrfan.